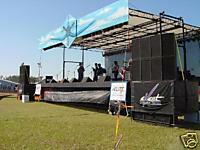 "CALL US FOR ALL YOUR STAGES NEEDS. 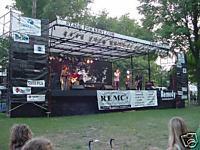 WE ARE A FULL AV HOUSE AND CAN PROVIDE ALL THE SOUND EQUIPMENT. 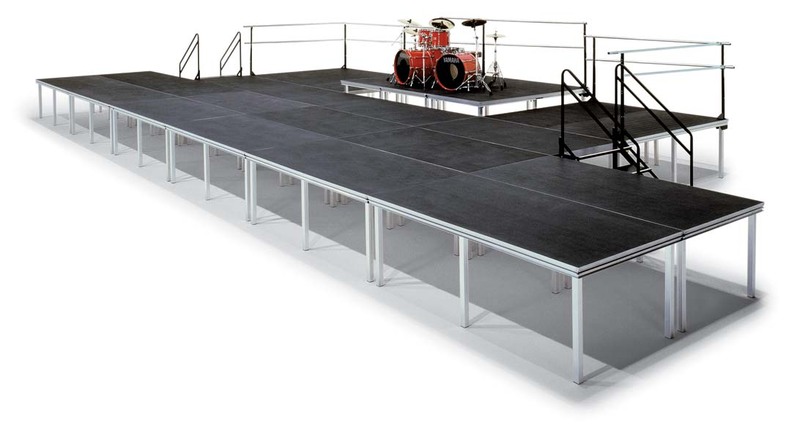 Adding stage accessories such as stairs, chair stops, safety railing, storage carts, ramps, skirts, curtains, drapery and backdrops will create truly user-friendly and exciting portable stages, band risers and choral risers! 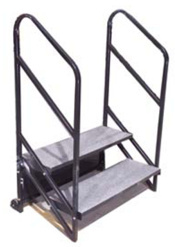 STAGE STAIRS – Built tough and durable with “tip and roll” mobility – complete with dual handrails. 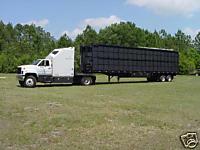 with non-slip tread coverings of either Black Top or Carpet Top. All stairways attach to stage edge for added safety. 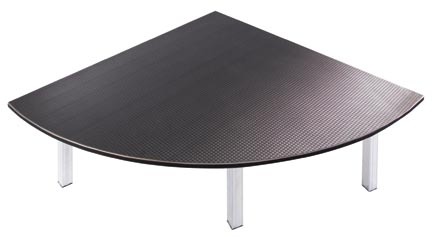 Surface Options: Black Top and Carpet Top. 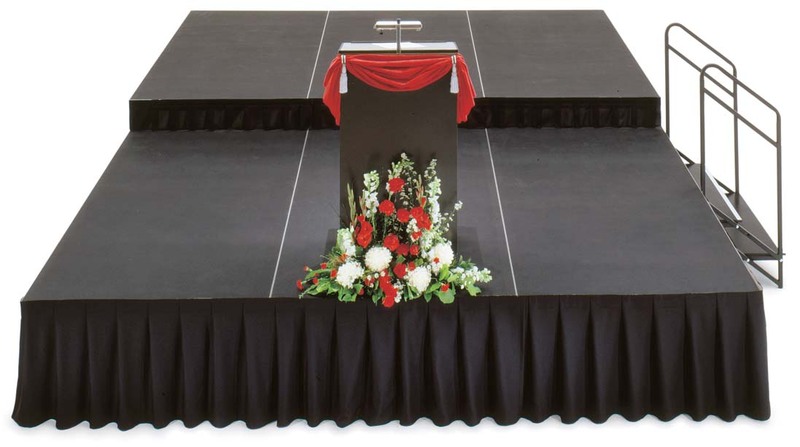 STAGE SKIRTING – Add the final touch for a finished stage. 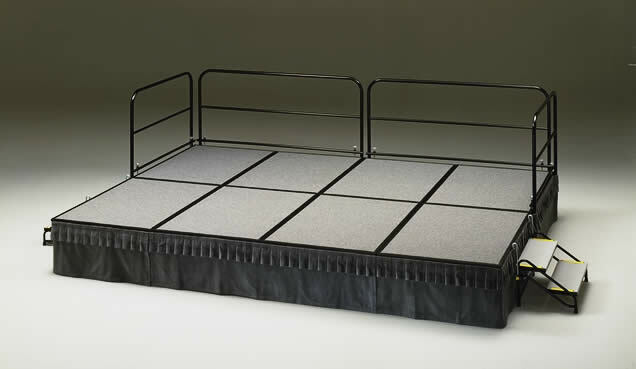 Skirting simply velcros to the stage edge for a fast and easy finish. Available for all stage heights. 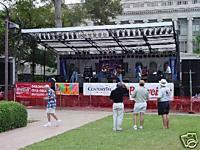 your portable stage and allows behind-the-scenes activity. 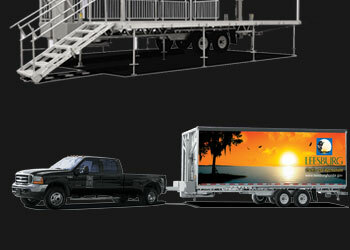 This system will fit a 24' or 32' stage front. 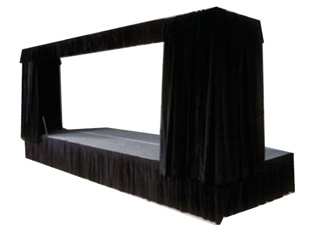 Drapery System consists of front /side valance, 4' front/side stationary curtains and middle pull curtains. 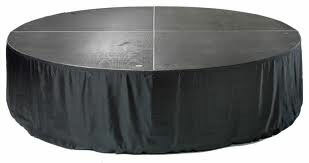 PORTABLE BACK DROPS FOR STAGES – Mounted on castors to roll into place quickly behind the stage or risers. 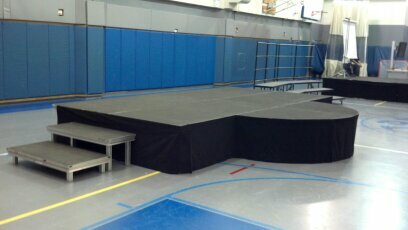 Can be used at floor level or telescope the frame to adjust to the height of your stage always providing 8’ of backdrop. 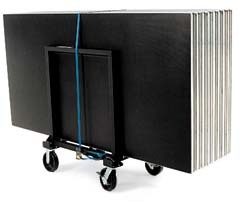 Portable frames are 8'x8'. 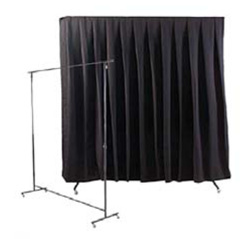 Double flat fold pleated drapery simply velcros to the top bar for fast and easy set up. 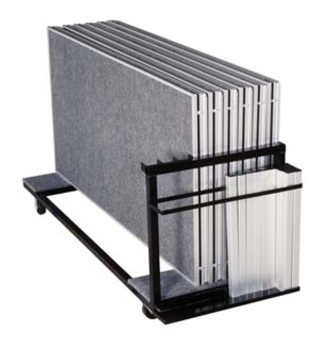 CHAIR STOPS FOR RISERS – Prevent chair legs from sliding off platform edge. 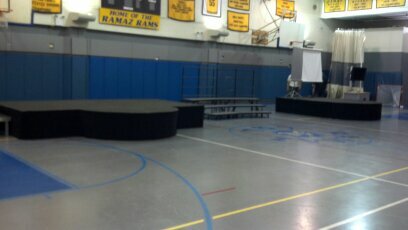 Fast & easy setup; simply clamp on to stage edge. 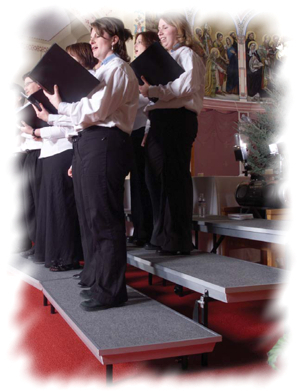 Staging Canadell Choral Risers are designed to give singers the ultimate in comfort. In a world of narrow, cramped choral risers, Staging Canadell choral risers have widened the playing field. 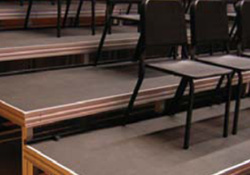 Our choral riser treads are a full 21” deep – that’s 3 full inches deeper than the treads on most of the choral risers on the market today. Singers have room to hold their sheet music properly and even have space to perform a little choreography. 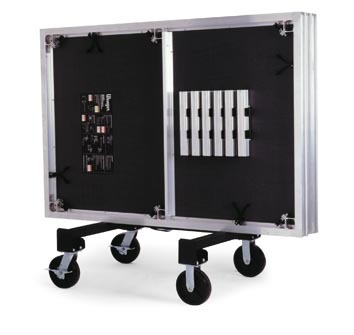 Save setup time – all riser parts are mounted to the stage frame so no tools, assembly or transport dollies are needed! 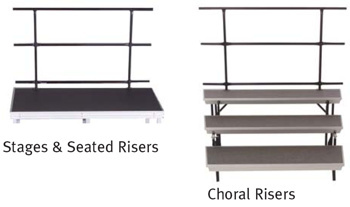 Staging Canadell Choral Risers are available in a variety of configurations. 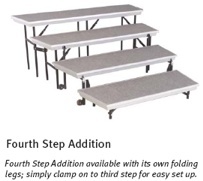 Our convenient Fourth Step Addition allows you to accommodate more performers in a smaller space. 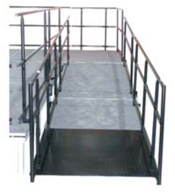 Add security to your performance with optional back railing. 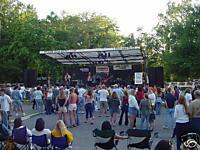 Copyright © 2014 - ATD Audio Video & Computer Rentals. All Right Reserved.